GreenHomeFloors >> Forbo Marmoleum 660 Polyurethane 2-Part Adhesive - 1 Gal. 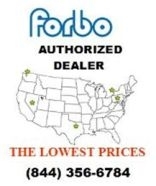 Forbo Marmoleum 660 Polyurethane 2-Part Adhesive 1/2 Gal. 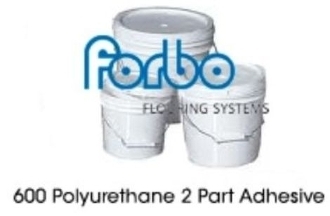 Forbo Marmoleum 660 Polyurethane 2-Part Adhesive - 2 Gal. Forbo Marmoleum 660 Polyurethane 2-Part Adhesive - 1 Gal. Covers approximately 110-120 Sq Feet per gallon when using a 1/16" 1/16" x 1/16" square notched trowel and 150 to 160 Sq Feet per gallon when using a 1/32" x 1/16" x 1/32" fine notch trowel.